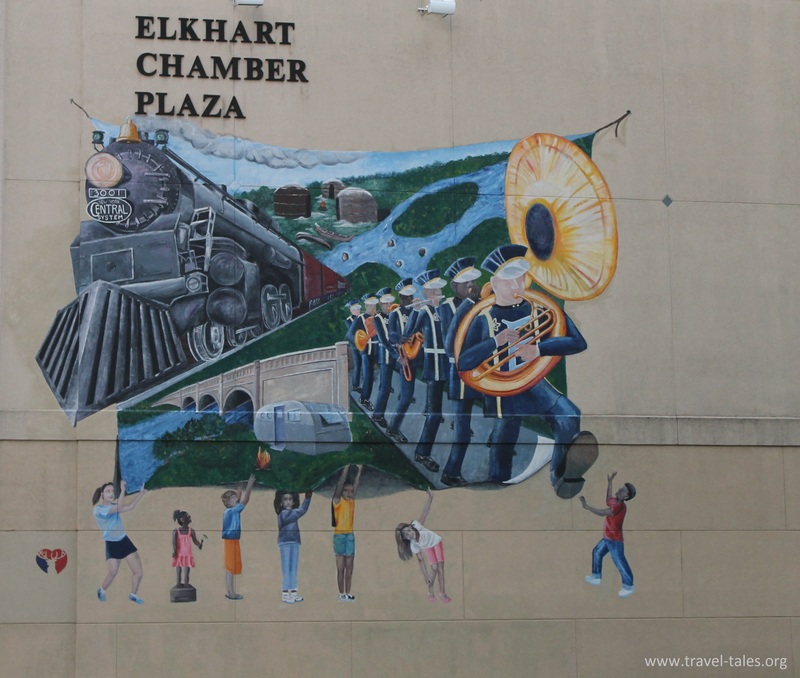 You are forgiven at being confused why the little city of Elkhart, IN is so important to the world of Jazz. 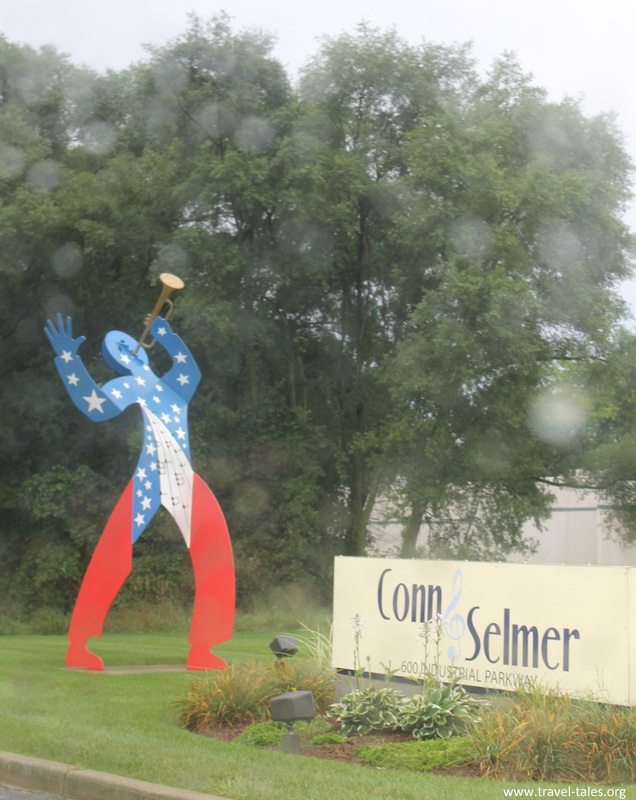 However, without the hard work of many people in this little city you would not be able to enjoy the sounds of Selmer saxophones, Bach trumpets CG Conn tubas and many more instruments made here. Along Industrial Parkway are rows of factories each specialising in a different kind of musical instrument. I went to the head quarters to see whether I could tour any of them, however without prior appointment that isn’t possible. In any case they had already finished for the day by the time I got there. Having learnt to play the saxophone on a Selmer as a teenager, I am still rather pleased to have been at the head office of this legendary instrument maker. Unfortunately the weather wasn’t great so I didn’t walk around the historic district as much as I would have done on a sunny day. I took these pictures of the Lerner Theatre just as it started raining. 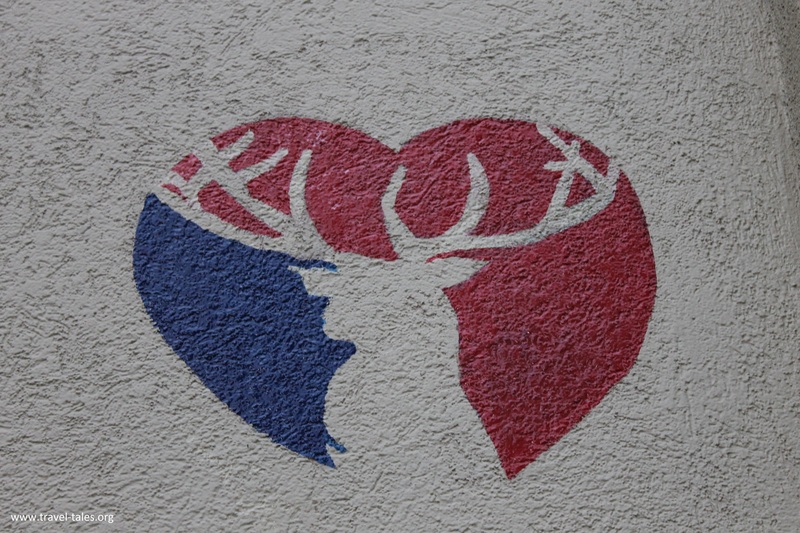 I spotted a few more elks around the city and with a name like Elkhart it isn’t surprising they feature as street art! For daily pictures from this blog you can follow me on tumblr. at www.traveltash.tumblr.com and on Twitter @tash_higman. You can follow the current journey ‘live’ by liking the Travel-Tales page on Facebook at www.facebook.com/traveltalesorg where I also post additional small titbits that don’t fit into the twice-weekly blog posts. You managed to get off the beaten path when you were here.